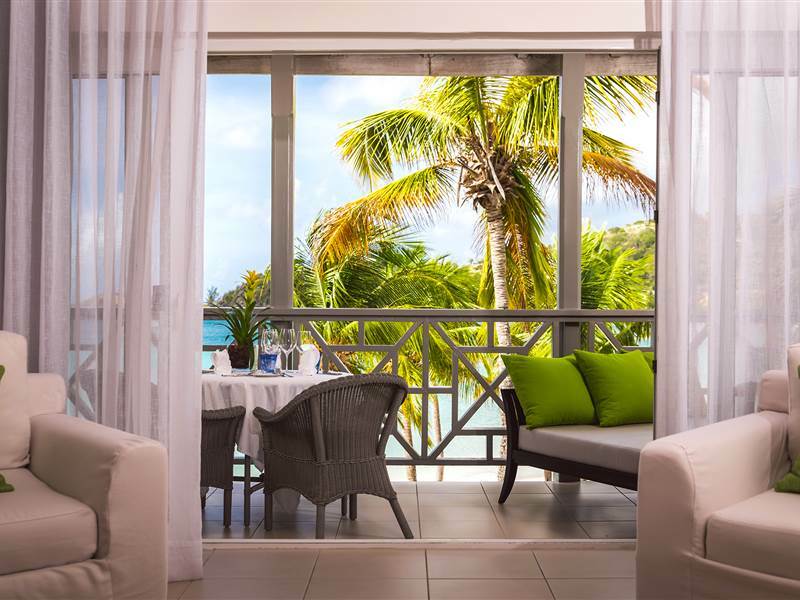 Located where peace and tranquility are preserved on the calm end of the beach the Ocean Suites offer sweeping views of the water from their floor to ceiling windows. Light-filled with that same simple yet luxurious décor they are ideal for getting away from the world and re-connecting. 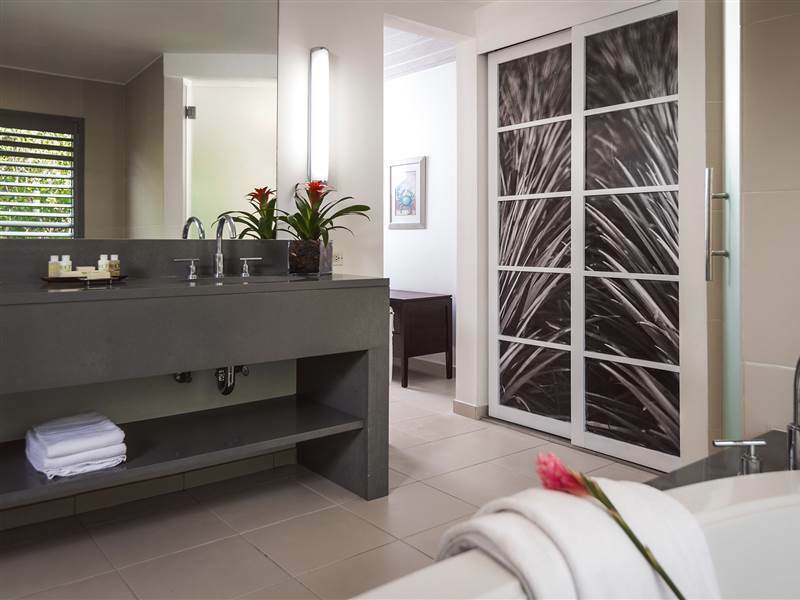 On arrival, just walking into these restful rooms will be enough to have you on your way to unwinding. 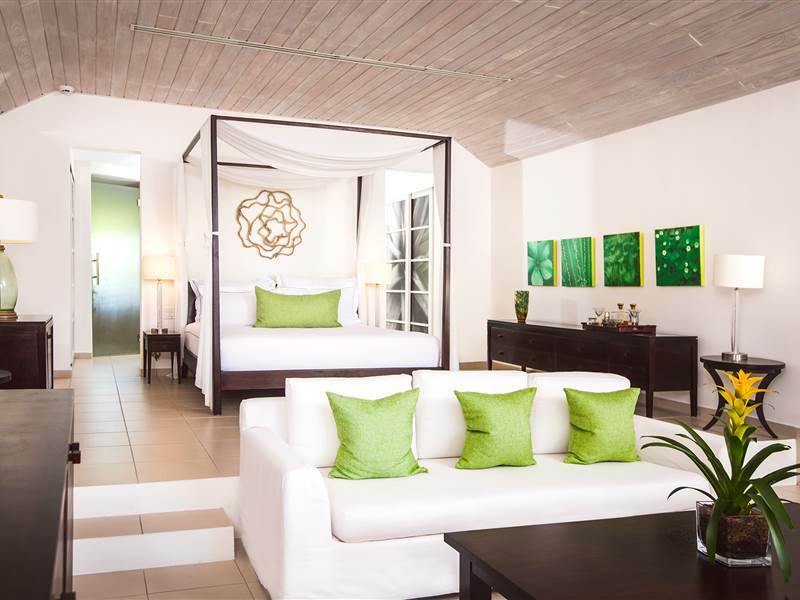 The Ocean Suites are split-level and have open-plan bedrooms and sitting areas. Space is not an issue with floor areas of 72 square metres (770 square feet). 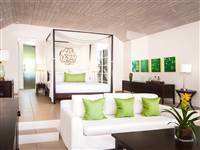 Ten pairs of Ocean Suites can interconnect should you wish to keep friends or family close by for your wedding or celebration at Carlisle Bay. Accommodates a maximum of 3 persons; children must be 12 years and older.